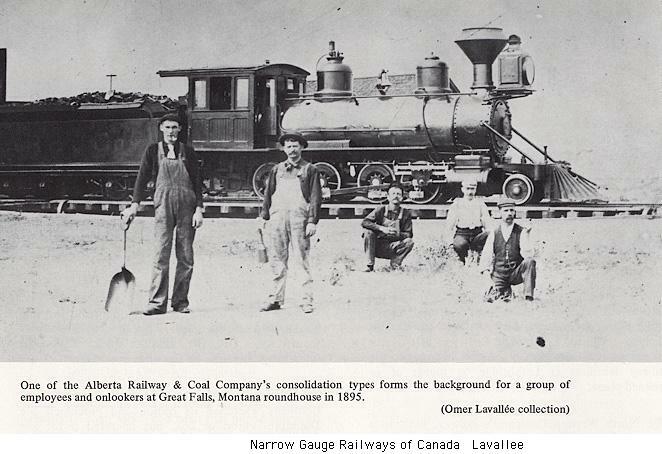 Photo of a 2-8-0 on the Alberta Railway and Coal Company. This may be 151, but no number is visible. 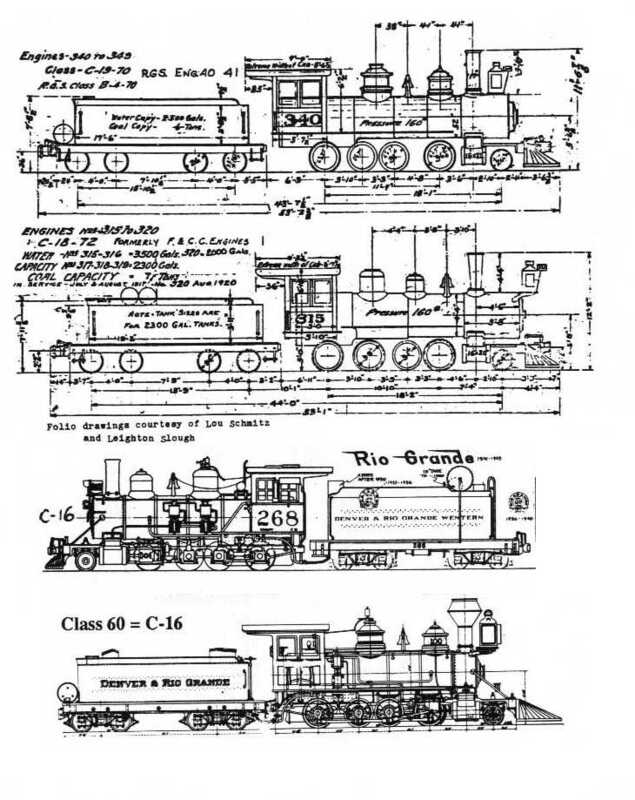 This book suggests that 151 went to the D&RGW as 554 or 555. 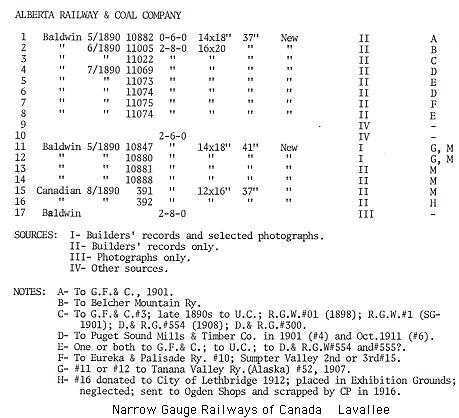 For use by modelers to match 151 to D&RGW locomotives to select a model to represent 151. Dome, stack, headlight, cab, and pilot style may be different on the same model in different eras. Email me if you can add to this history.